Lets get down to brass tacks, the final price of the kit has been set and we are happy to say we have stayed between our target price points. The price of the kits will be $1550.00 +shipping. With that price we are offering some awesome addition to the standard BOM if self sourced. 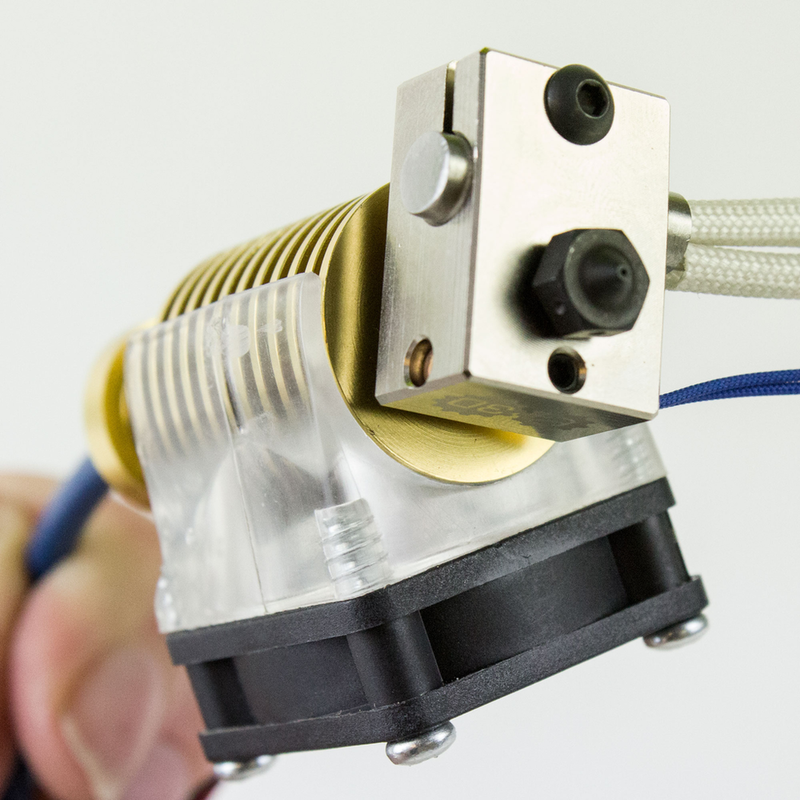 We currently offer three options for hotend, Mosquito, V6 and a BYOH option, as we hinted at last week, the V6 will be the Gold Edition by E3D. This upgrade give you a hardened steel nozzle, plated copper-alloy heater block and Capricorn PTFE tubing. Another upgrade is from the Titan extruder to the Bondtech BMG, we felt these kits needed the best extruder. Now to the wiring, each kit will come with a wiring harness already cut and crimped for you so you don't have to spend your time hassling with it. With the way we have our kits set, if you self sourced it, you would be paying $1500 +shipping from several different suppliers. So are we doing anything different than standard BOM? Yes, there will be two major differences. First will be the Z stepper motors, in the BOM it states to get 0.9 degree steppers but we are going with 1.8 degree. Don't fret we are also switching from 4mm pitch to 2mm pitch lead screws, this will keep the ratio of .01mm/1 step! This will also assist in limiting “Z walk” when powered off. We will also be using delrin anti backlash nuts rather than the brass. The next big difference is the panels, we will be milling the RailCore II name into every set. As most of you are aware Mandala Rose Works and 713 Maker offer Aluminum components for the RailCore. As we stated before we will be working with them, currently we will be using the X Carriages from Mandala along with the Idler Pulley Mount and Motor Mounts from 713. We will be milling the beds in house due to the logistics of having them done by 713 just didn't add up. We have a bed from 713 for reference to ensure we are providing the same awesome quality they have always provided. We will not be selling the beds, x carriages, idler pulley mounts or motor mounts separately from the kit, if you would like them please go to http://www.mandalaroseworks.com/product/railcore or https://713maker.com/railcore-ii-300zl. Mandala also offers aluminum Z Yokes if you would like them. Now to the timeline, we are on schedule at this time. We began receiving the Duets and extruders this week along with the aluminum components from 713. We are expecting the aluminum extrusion to be delivered on Wednesday and the hardware to be delivered today. Our goal is to begin shipping no later than October 31st once we have the shipping nailed down we will be sending you an invoice for the final payment. Now that we have announced the final price of the kit, we will be allowing all pre-orders made prior to this announcement to request a refund for 48 hours for whatever reason. Please email us at info@projectr3d.com and we will take care of it. Moving forward the $50 pre-order will be nonrefundable. We are working on some additional “goodies” to be added into the kits, we will let you know in the coming weeks. We will keep up with the in depth updates every week to let you know how everything is progressing. If you have any questions or suggestions please let us know at info@projectr3d.com.